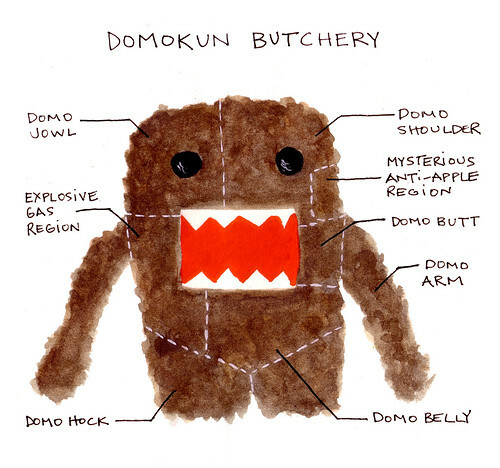 Yes, a domokun butchery chart. I can't really think of a reason why someone would ever eat Domokun. But if you needed to, this is what you might find inside. The domo-belly is particularly delicious. Believe it or not, this would be perfect for my kitchen and Domo-crazy boys. They would love to chew on some Domo belly!